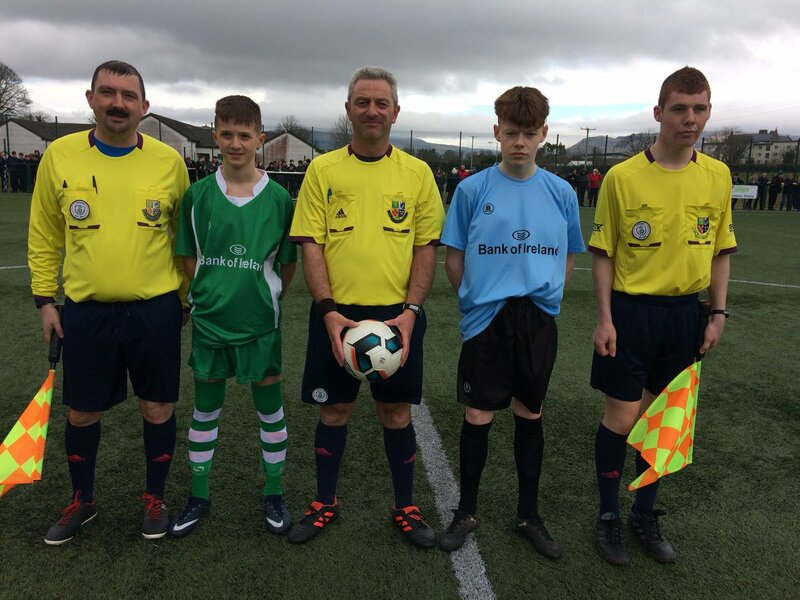 Blake McGarvey scored twice as PCC Falcarragh staged a magnificent comeback to win Tuesday's FAI Schools Minor B Boys National Cup Final at IT Sligo. McGarvey, the PCC captain, scored two goals to get his team back on level terms after they found themselves 2-0 down early in the second half. Then Paul Johnston scored the winner on 65 minutes to hand the Donegal school a memorable All-Ireland win. Thomas Flynn gave the Sligo side an early lead, and they held that 1-0 advantage up until half-time. Paul Mahon added the second shortly after the break and Coola looked on their way. However, PCC hit back with goals from McGarvey on 51 and 56 minutes before Johnston hit the winner just after the hour mark.